Our name may imply that we provide “dogs only” services, but Doggie Latchkey loves cat sitting, too! Cats are important members of our families and deserve a little pampering, as well. Most cat owners know all too well that changes in environment can be very traumatic for their cats. Doggie Latchkey’s in-home cat sitting service can be the perfect solution for you, and it’s a great alternative to cat hotels or cat boarding facilities. Let one of Doggie Latchkey’s specially trained pet sitters care for your cat while you are away on vacation. We understand the different temperaments of cats and we treat them as a member of our own family, giving your cats all of the attention and affection they deserve. With our in-home cat sitting services, your cat gets special one-on-one attention and affection that the cat hotels and cat boarding facilities absolutely cannot match. Our cat sitters are even specially trained to administer insulin injections for cats. Doggie Latchkey’s cat sitting services are also great for those felines that do not like car travel. There is no need to drive your cat to the boarding facility or cat hotel, relieving much stress for those cats that are negatively affected by changes in their environments. Our cat sitting services are not just for cat owners going on vacation; they are also great for busy professionals stuck at the office, unable to get home to give their cats the affection they deserve. 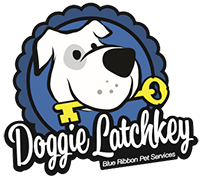 Doggie Latchkey’s cat sitting services can also be essential for those cat owners suffering from illness or injury that does not allow them to give their cats the care they deserve. In addition to providing your cats with the comforts of home, Doggie Latchkey’s cat sitting services can provide you with the ultimate in peace of mind while you are away. All of our professional cat sitters are bonded, which includes an extensive background check. We are also fully insured. Our staff will provide you with daily updates via text message, email or phone call so you always know what is going on with your beloved feline. Schedule sitting service today by contacting our office. We work throughout the state of Michigan.